Why are Crypto Dividends Better than Stock Dividends? ARK – direct dividends from delegates you support. What about the hype? Should I be worried it will crash? Many people invest in dividend-paying stocks. They also take the earnings and reinvest in additional stocks. However, there is a catch. There is no guarantee that a company that is doing well, is going to pay out any dividends to it’s investors. When a dividend is payed there is often a change to the price of the security. Here’s how we did the math. First, we took the minimum wage of California, Apple’s home state, which is 8 dollars an hour. For a 40 hour work day that takes place over an average of 22 work days per month, the average Californian minimum wage employee makes $1408 a month, before taxes. Since Apple pays the $2.65 dividend quarterly, we multiplied $1408 by three months, giving us a quarterly minimum wage earnings of $4224. So how many shares of Apple stock would you need to earn $4,224 in dividends per quarter? 1,594 shares paying a $2.65 dividend every three months. And how much does 1,594 shares of Apple stock cost? At writing, the value of one share of AAPL costs $598.35; 1,594 shares would cost you $953,747.32 on the market. This is why cryptocurrency dividends are so much better. You do not need to rely on the goodwill of a company. Dividends are payed out based on code. I made this list with cryptocurrencies and platforms that I trust and have used before. I have never used hyip (high-yield-investment-programs) and will never promote them. The return on investment of many of these assets depend on the value of the coin or trading volume. You will also need a good amount to get a decent sum of mouney per year. However, compared to other investment opportunities, this is much more lucrative. I have excluded certain coins from this list as I have either not used them or do not trust their payment model. A while a go, I wrote a post on how to calculate your Gas reward with NEO. An important thing to note with NEO is that you only get gas if you keep your NEO in your NEON desktop wallet on Kucoin or Binance. Bitfinex does not pay out GAS dividends. Another point to remember, is that NEO is not divisible. You can only send and receive a whole NEO. Kucoin is a world-class cryptocurrency exchange that was launded in mid 2017. They have been getting good traction in the last months, thanks to referral links and aggressive marketing. Similar to Binance they have their own native token called Kucoin shares. The bonus you receive is 50% of the trading fees until April. The fees will then be adjusted to 15%. You can buy Kucoinshares on Kucoin. Coss is a cryptocurrency exchange based in Singabore. A good thing since Singabpore is one of the most crypto-friendly countries in the world. Similar to Kucoin, coss pays 50% of the trading fees to the COSS token holder. This one has a lot of potential! Many of the other tokens such as NEO, Lisk and so on already have a higher price and marketcap. 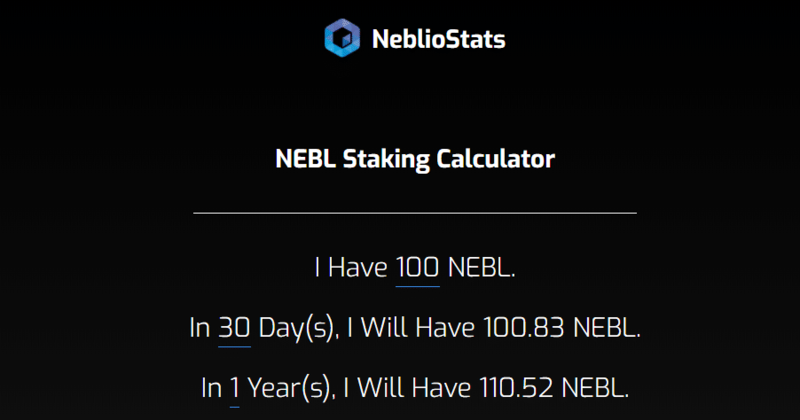 It is a lot harder to get a decent amount of tokens to stake. At the moment we are in a cryptocurrency dip where everything is down. When the bull run starts again, all exchanges will be full. That means people will be looking for smaller exchanges like COSS to buy their ERC20 tokens. What does that mean for us? Well. We can make some small calculations on how much we can earn per month when COSS gains much more volume. 20 000 COSS costs approximately 3800$. Quite a sum of money yes. In the first scenario, which is now. We are looking at a 11.95% ROI or 228$ per year. Find a stock that gives out this kind of dividend. Now we are getting more serious. A ten times increase in volume. 2280$ per year or 119% ROI per year. Never say never. However, the hype phase was in January. Now everyone is selling or hodling because they bought at the top. If you buy now you will be at an advantage during the next bull run. Until the shills come back out from under their rocks, we have some time to accumulate good projects. Neblio is a blockchain platform which allows people to build decentralized applications on them. Neblio’s main goal is to simplify blockchain to enable widespread enterprise adoption. I hope you found this list useful. Always remember to use a risk/profit strategy when investing in new projects, to protect your portfolio from unexpected dips.